Many injured workers incorrectly assume that medical benefits simply means doctors visits, surgeries, medication, and physical therapy. 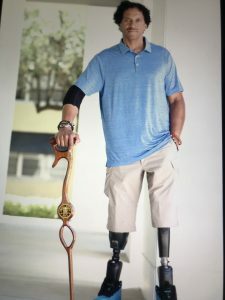 Fortunately, the definition of medical benefits under Section 907 of the Act is very broad, so broad that it not only includes purely medical benefits like doctors visits, surgeries, medication, and physical therapy, but the definition also includes medically necessary and reasonable apparatus. What does this mean? It means you may be entitled to a new handicapped accessible vehicle if your injuries require it. If you are presently living in an inaccessible home, the insurance carrier can be compelled to purchase you a new home or make your current home accessible. These benefits must be provided for life since Section 907 medical benefits never expire (unless you settle your claim for a lump sum). 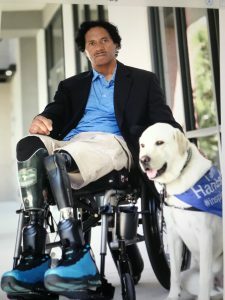 Other Section 907 medical benefits include the provision of assistance pets, home health aides to help with activities of daily living, and artificial limbs, which cost tens of thousands of dollars. For case examples, please reference the OALJ decision in Kahue and Shriver. Also, a win on home modification, allows us to have our attorneys fees and costs paid by the carrier. This is always a benefit to the injured worker and we are proud to accomplish this. If you or anyone you know has been injured overseas working for a contractor, we would be happy to speak with them. Please text 754-317-2824 or give our firm a call at 954-772-2644. We proudly serve clients across the United States and all over the world! Helping the injured is our passion.